Members of Kappa Alpha Theta were given the news on Nov. 1, 2018, that they were losing their chapter at the University of Mississippi because of low rates of member retention. Despite the news, former members have chosen to compete together in Pi Kappa Alpha fraternity’s annual philanthropy football tournament. 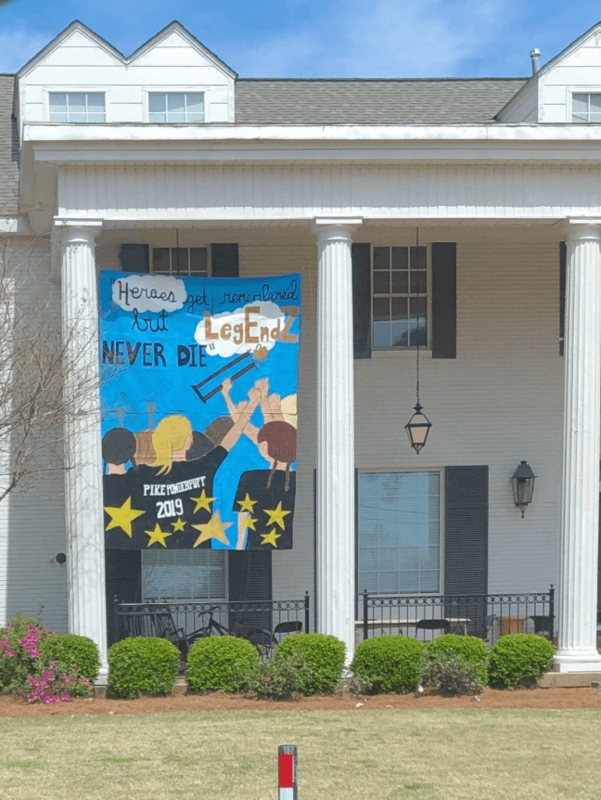 Though the team can’t compete under the official name of Kappa Alpha Theta, the members chose the title “LegEndZ Never Die” to commemorate their chapter, Epsilon Zeta. Johanna Naimoli, a senior marketing major who was a member of the sorority, said that after Kappa Alpha Theta was disestablished, she and fellow members were upset that a large part of their college experience was gone. One of their proudest moments as a chapter, according to Naimoli, was winning the Pike Powderpuff charity football game benefiting St. Jude in 2018, so they have decided to return this year to protect their position as reigning champions. This year, the team opens as the No. 1 seed. Sara Doan, a senior and former member of the chapter, said that winning the tournament last year was a rewarding experience for the members who had competed every year in college. Without the financial support of Theta, the women have decided to raise the necessary $1,500 entry fee to compete in the football game themselves. Not only has LegEndZ Never Die raised enough to compete, but the team has raised $3,930 to benefit St. Jude, more money than all sororities on campus. The Gamma Iota chapter of Pi Kappa Alpha has hosted the powderpuff football philanthropy to benefit St. Jude for nine years. This year, the fraternity has chosen to honor fraternity brother Zach Hoefler, who died of pilocytic astrocytoma, a form of brain cancer, in September 2018. The powderpuff football tournament will be hosted by Pike on Sunday starting at 9 a.m. at the Oxford-Lafayette Sportsplex.